What would Machinery do for Ireland? In a former number we gave, as our readers may recollect, a few particulars respecting the time required to print the weekly impression of the DUBLIN PENNY JOURNAL by the common printing press. Some time ago, an individual connected with one of the newspapers, published in the West of Ireland, paid the printing office a visit, and on seeing a Number of the Journal at press ten or twelve days before its date of publication, he exclaimed, very significantly, "Ah! we are asleep in Connaught!" But on referring to the preface of the London Penny Magazine, published lately, how completely does it prove that we are asleep, not in Connaught, but in Ireland! The weekly impression of that Penny leviathan, if done without the aid of improved machinery, and by the common printing press, would require FIVE MONTHS! Asleep! aye, we are asleep, and henceforward, instead of boasting about the great demand for our little periodical, let us hang our diminished heads, and labour silently and zealously to create such a desire in the minds of our fellow-countrymen for cheap and wholesome knowledge as may prove them as ardent for information, and as persevering in its acquisition, as either the English or the Scotch. For what does the London Penny Magazine prove? It does not circulate very extensively in Ireland--therefore, the great bulk of the immense number of copies which are printed of it, must be disposed of in England and Scotland. Then look at Chambers' Journal--look at the Saturday Magazine--look at all the cheap publications which are actually rolling from the press, and it proves to a demonstration that, though perhaps there is a mania at present raging, the thirst for information must be extreme, the determination to acquire it must be strong, the facilities given by machinery for gratifying and feeding the demand for cheap knowledge must be many, and, though the minds of the people may be rather confused, for a time, by the number of cheap publications, yet when the minor and more insignificant ones have gone down, and none remain but the few leading and really useful and respectable periodicals, the amount of good done must be to an extent incalculable even by the present generation. 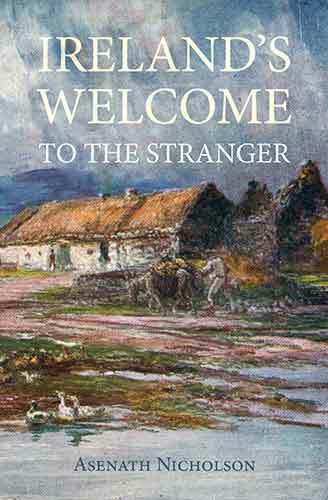 That the Irish are as eager for information, and as steady in its acquisition, as the inhabitants of the sister island, when it is presented to them in a proper form, we have solid reasons for thinking; and we acknowledge it with thankfulness. But we will not rest satisfied until something greater and better is accomplished; until we see the entire bulk of the people panting for useful information and agreeable amusement; until we see facilities obtained for spreading knowledge through the land to a greater extent than ever; until we see the mind of the nation rising, like the phoenix from its ashes, and clothed in the vestments of a varied and graceful intellect, show itself to the world at large, as worthy to win and to wear the choicest blessings of a civilized state. From this little egotistical episode, we would advance to the consideration, briefly, of what would machinery do for Ireland? In the short compass allotted to papers in our Journal, justice cannot be done to such an important question----and the necessity of avoiding the troubled waters of politics, must make us steer clear of considering the present state of Irish manufactures. We wish well to the society for encouraging the consumption of home manufactured goods, and for aiding the decayed manufacturers of Ireland--but must candidly give it as our conviction, as well as the conviction of common observation, that while the machinery of England is at work, and while the ports of the two islands are open, the efforts of such a society, however patriotic, will be but as a feather hold up to break the violence of the blast. Nothing will avail but the employment of similar machinery. That Ireland, from its geographical position, and its numerous harbours, is well fitted to become a commercial country, is known to every school-boy. Some idea of the materials in the bowels of the earth may be gathered from a paper published in the 16th and 17th numbers of the Journal, entitled "The Geology of Dublin and its Suburbs," communicated to us by a gentleman whose scientific acquirements are of the first order. At the close of his paper occurs the following remarkable passage--"Wherefore is it that our most valuable minerals become productive only when worked by English hands? We will not venture upon supplying a response to this interrogatory, but will merely express a hope that the period is not far distant, when Irishmen will merge party in national objects, and when the bounties of Providence shall cease to be marred by the folly or wickedness of man." Of the nature of the country, as adapted for the erection of manufactories, we might come to some conclusion from a paper entitled, "Improvements in Ireland," taken from Bryan's Practical view of Ireland, and printed in our 15th number, and from an original paper, entitled, "Pobble O'Keefe," given in our 21st number. These two papers, it is true, refer to a tract of country situated on the confines of the counties of Cork, Limerick, and Kerry: but they triumphantly prove that a portion of country hitherto given up to smugglers, midnight marauders, and Whiteboys, which afforded a safe shelter to the violators of law and the disturbers of order, possesses within it all the materials and all the facilities for being converted into a great, and happy, and populous district, a region where industry might ply its busy wheel, where labour might be remunerative, where capital might find ample scope for its productive outlay, and where a distressed and impoverished population might be usefully and happily employed. With regard to the general capabilities of the country, we refer to a paper in our 7th number entitled, "The River Shannon," extracted from a pamphlet by C. W. Williams, Esq. To all these articles, but particularly to the last one, we entreat that such of our readers as are desirous of acquiring information on the important subject of which we are treating, would refer. We are anxious to show that our Journal has, from its commencement, been alive to the improvement of the country; and these particular articles contain a mass of FACTS which are well calculated to arouse all the powers of a thinking mind in reflecting on the state of Ireland. Here, then, we require not to travel out of our own little work for information on our subject, and which entirely supersedes, what our present space could not well afford, the necessity of recapitulating. Yet with all the facilities which the island possesses by its geographical position--with all the materials in the bowels of the earth--with a numerous population waiting to be profitably employed--with a country within a few hours' sail where the ingenuity of man is racked to bring out and to apply whatever may advance the interests of trade and commerce--we are poor and miserable. Our exports are the exports of a nation half civilized. We send over to England cows, calves and pigs, bacon, pork, and butter, eggs, and wheat, and barley--but where are our calicoes and silks--where our cutlery and pottery--have we a Birmingham, a Manchester, a Leeds, a Sheffield, a Glasgow, to develop the ingenuity and give employment to our people? No! our very agriculture is half a century behind. We want the investment of capital and the employment of machinery to raise us from our present trading and commercial nonentity to be a great, and powerful, and flourishing nation. Dr. Doyle has given it as his opinion that in order to hold out encouragement for the investment of capital, and induce capitalists to settle in the country, we must prepare a quiet and well-ordered population. The spread of knowledge will do much towards effecting so desirable an object; and then, if poor laws were introduced, if capital were invested, and machinery employed, we have no doubt but Ireland would rapidly rise in the scale of nations. We do not advocate the indiscriminate introduction of machinery--we think the establishment of poor laws should precede its general introduction, and that it should be introduced regularly and systematically. But until machinery is generally introduced into Ireland she will be kept in the back ground by England. Machinery would enable her to develop her resources, to employ her population, to extend her power, to raise her character, Machinery would drain her waste lands, would erect iron foundries, whose fires would be fed with charcoal from her bogs, would build manufactories where the cotton of India might be spun, and sent back to its native country again for sale in every variety and form, would erect railroads by which the country would be opened as effectually as if its inhabitants were gifted with wings, and could fly from one end of the island to another--in short if the question be reiterated, What would Machinery do for Ireland? the answer is easy--Under proper regulation it would change the prospects and the character of the country and its inhabitants. To bring about "a consummation so devoutly to be wished," we would implore the working classes to lay aside their prejudices and aversions, to frown down unlawful combinations and excesses, and to do all in their power to assist in forming what Dr. Doyle calls "a quiet and well-ordered population." Then capital might be freely and fearlessly invested; manufactories might be erected, and public works undertaken; the Shannon, which for nearly an hundred miles can scarcely boast a pleasure boat on its solitary stream, might rival the Mersey, the Clyde, or even the Thames; and a country for which it is said God has done much and man little, be redeemed from the reproach and contumely which are everlastingly cast upon it, and its population delivered from poverty and depression, and enabled by its own industry to maintain itself in comfort and independence. We are arguing conditionally. We do not mean to assert that machinery would be a sovereign balsam for the accumulated distresses of the country: but seeing that we are placed alongside of an island where every invention and improvement is brought to bear upon manual labour, and where the cost of production is reducing daily, it will be a moral impossibility for Ireland to enter into competition without resorting to the same materials and means. All these remarks may be neutralized by one single observation, that the introduction of machinery would destroy the MORALS of the people. Serious charge! The wealth of the Indies would not compensate the loss. The question then which remains to be discussed is, Will moral debasement necessarily follow the general introduction of machinery into Ireland?